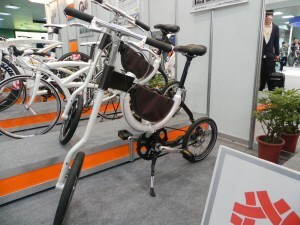 Coming off Eurobike 2012, Bike Biz mulls over the idea that what is, and what is not, a trend is not all that clear. They have a point. You have a whole lot of products that are quite visibly on display across the Eurobike halls. And then you have all the nooks and crannies containing even more variety. It may involve a bit of magical sleight of hand to come up with “trends” out of all that. Here at CSC, we tend to think that you have to look at the broader picture. That’s where the trends are. And like large, slow flowing rivers, these connect with tributaries that produce variety. Bike Rumor recently featured this electric assist folding bike. Or you can go to the source here. Gabriel, the designer, has been working on this nifty unit since 2008. It is very much in line with what has been the focus of design in recent editions of the International Bicycle Design Competition. 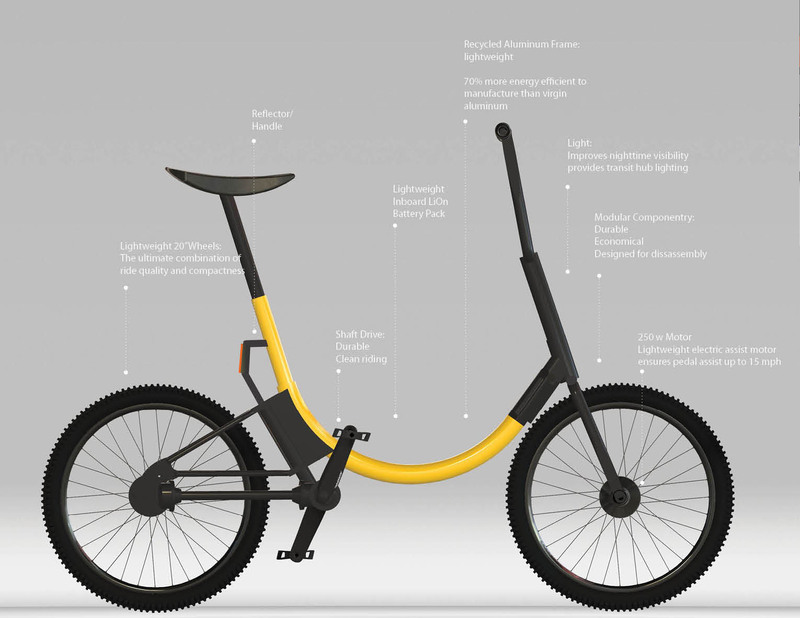 Namely, compact, folding, electric assist for shorter commutes in an urban setting. 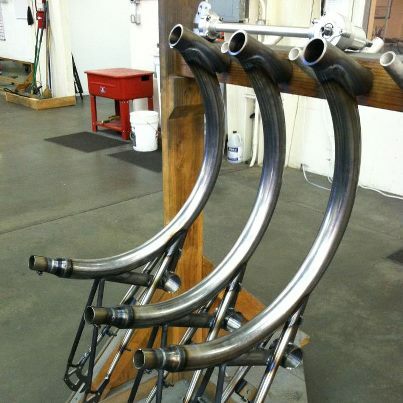 As of today, the frames are in the process of being produced at the company’s Portland factory. This is a view of it with the electric dynamos included. It also has a shaft drive mechanism to eliminate any chance of a chain oil mishap should you be wearing anything slightly dressy. 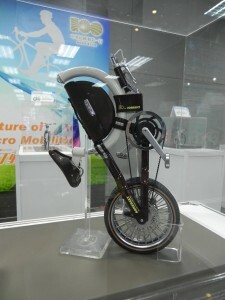 The Bike Rumor website gives this additional view of it folded up. Pretty neat, you have to say. 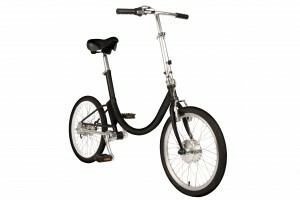 What is interesting about Gabriel’s design is its similarity to The Somerset, a great example of a folding bike design. 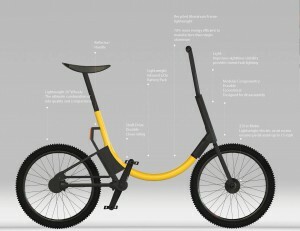 This bike was runner-up to the 2011 International Bicycle Design winning entry, Marco Mainardi’s Aria. The Somerset is a design that probably should have won hands down. But that’s another story which you can follow up through the link to that post. The Somerset was produced as a working model, unlike the majority of the International Bicycle Design Competition entries. Portability was a function that was at the forefront of the designers’ concerns. You can see how the frame projects and becomes a handle. If you wanted to maneuver the bike into, or through, a confined space, it would be quite easy. And of course the simple act of moving it around is easy to achieve. This means moving amongst modes of urban transportation may be an option: cycling-train-bus-cycling. You’d have to wonder about the bus though since this unit is still quite bulky. Lifting it onto a bus step would not be easy. There still may be some rethinking to do there. 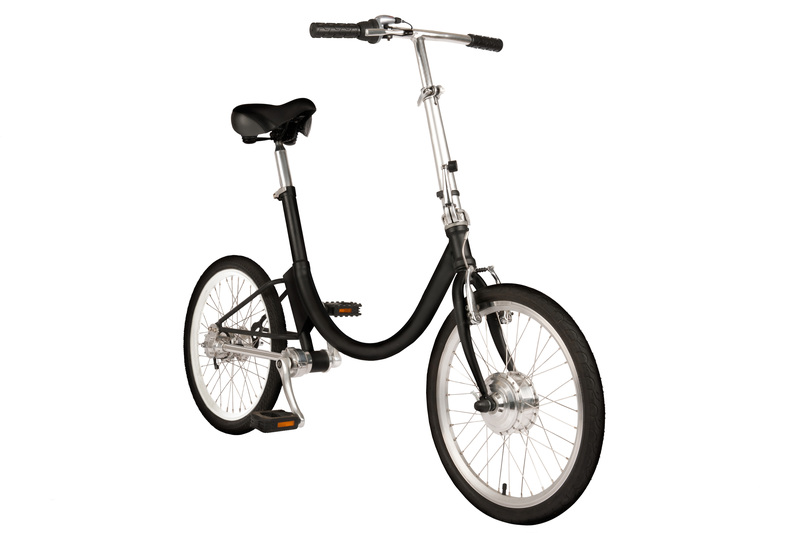 The Somerset does not have a shaft drive mechanism, but a belt drive which also eliminates the chain oil issue. These are both pretty similar designs. 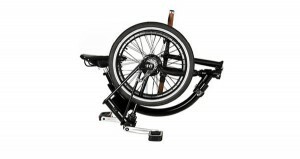 Each has been independently arrived at through the pressure towards practical, stylish urban cycling solutions. In terms of the trend convergence in this case, I would think the Somerset is the better design of the two. It comes out on top largely due to its portability when folded. That comes from having a more circumspect view of the frame. Its form has been better utilized in the Somerset. Still, I worry about the weight factor. If Gabriel’s bike is considerably lighter and easily lifted, packed, or otherwise maneuvered when folded, then it would be a clear contender.